When you are considering buying a Video Security Product, do you need something designed for use in a bank or a government office? Probably not, unless you are willing to spend tens of thousands of dollars, for something which has a ton of features which you will likely never use. DIY Video Security Products are what most folks need for their homes and small businesses. 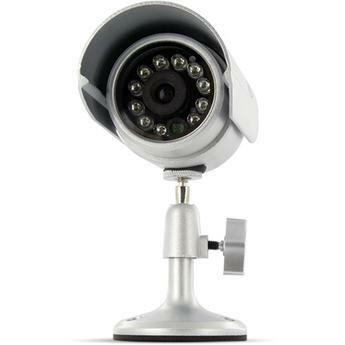 For a low price you will get a great package with hi-resolution, weatherproof, and night vision capable cameras. These products are called DIY because they are designed to be easy to install and use. Whether you own a bar/restaurant and want to monitor your staff or want something to protect your family at home, a DIY Camera Kit will fit the bill and won’t set you back $10,000. Depending on the number of cameras you need, you can purchase a complete package with DVR (Digital Video Recorder), cameras, and all the necessary wiring and connections to install the system yourself. You will also find comprehensive manuals which include images and step by step instructions. If that’s not enough, purchase a DIY Video Security product from SVAT Electronics. Each SVATproduct includes 24/7 Lifetime Live Customer Support from knowledgeable support agents who can be reached anytime by phone, email, and live chat. Solid Signal continues to bring you the very best and our reputation for customer service is legendary. Please call us for more information and to help you choose the right product to protect your family and your hard earned investments.